PPIM’s tool-room is fully equipped to make the highest-quality custom molds and tooling. Refined over 30 years, our mold-making process has all the necessary checkpoints to ensure quality and the tracking mechanisms to ensure delivery dates. You benefit from PPIM’s knowledge and experience—providing a competitive advantage through innovative solutions. Challenging projects and complex precision parts are routine for us. PPIM has everything in-house to design, fabricate and validate your mold in a production environment. Quick response—No inter-functional delays, no trans-oceanic shipping. You get production molds made in the time it takes others manufactures to make prototype molds. 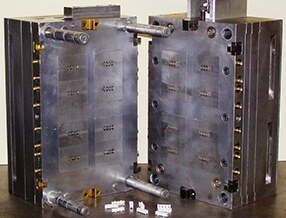 Reduced costs—Quick-turn production molds can eliminate throw-away prototype tooling. Low-schedule and low-financial risk—Single-point responsibility, simplified communications, no translation problems, no lost/delayed shipments.